Attendees were allowed to bid on one-on-one time with executives from technology companies. 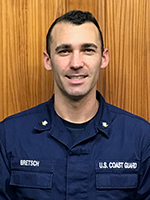 While Bretsch did not make any bids, he was able to take advantage of some incredible networking opportunities. He recently took time to talk about the experience and what he learned from the one-of-a-kind opportunity. What were you looking forward to most about the CxO event? Being a grad student and not able to afford the type of bidding taking place, I was most looking forward to the networking opportunities. This was my first corporate style event, so I didn't really know what to expect. What would you say are two or three of your highlights from the experience? The venue, The Dalcy in downtown Chicago, was super stylish and the food was incredible. The atmosphere was very relaxed and had a party-like vibe. It was such an incredible opportunity to be able to talk with high-level C-suite individuals in an informal setting. I was able to ask direct questions about their career and what general skills they valued in the workplace. I attended with two of my classmates from the MSIT program who are second-year part-time MSIT students. It was great to be able to connect with them and gain advice and insight for year two of the program, and after. What did you learn from attending the event? I learned how taxing networking can be when you don't know anyone in the room! It requires a lot of energy and effort to continually create a new rapport but is so worth it. What are your goals for yourself after MSIT? I will be separating from the military Jan 23, 2020, and I hope to land a job managing IT infrastructure at the enterprise level. My 20-year goal is geared toward becoming CIO/CTO of a midsize company, and I am excited about the many paths possible to attain this goal. But most immediately, I want to make the transition from technician/systems administration to the managerial side of business and IT. How do you think your experience in MSIT will help move you closer to those goals? The MSIT program will help me bridge the gap between my skills as a technician and those needed to manage IT for business. So far in my first year, my understanding of computers and telecommunications at the fundamental level has grown tremendously. This knowledge will undoubtedly influence my decision-making at the managerial and enterprise level. 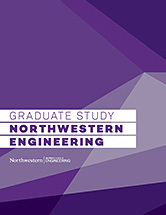 Also, Northwestern has incredible career services specifically for engineering graduate students. And of course, the Northwestern and MSIT alumni networks are invaluable and I know will be most helpful upon launching my job search.